Time to go crazy!!! Last 3 performances of Political Mother Choreographer’s Cut in Grande Halle de la Villette in Paris. Just finished listening to the mixes of the music we did with After They Left for the new performance of john Ross. Sounding great. Looking forward to see the performance. The Walled City Tattoo adventure is now over. It was a wild experience in a very wild weather. I was able to create Rusty Water thanks to everyone in the photo below. This group of people gave all their effort and time to make this happen. I thank every one of them for being patient, caring and fun throughout the whole period of work together. James, Jonathan and Darren from The Walled City Tattoo 2014 for the space to create. After many years of touring In Your Rooms with the Hofesh gang it is very interesting to perform the piece with NDT, one of the best dance companies in the world. The NoOne idea is all about grooves that have no strong sound such as bass drum or snare on the first beat. The idea of NoOne evolved naturally in various projects that I was involved with as a result of playing with other drummers and with sound tracks. Because the beat was already marked by another drummer and/or the track, I had space to explore and create grooves with a lot of freedom. Naturally I started to invent grooves that had no strong sound on the first beat of the bar and that brought a fresh and exciting feel to the groove. I am very excited to finally publish it and I hope that it would serve as a seed of creativity for other musicians to go and explore grooves in more unconventional ways. Big thanks for Studio Scratches for the great platform to do that. I am very happy to finally share this project with the world. After They Left is coming from the most simple, creative, honest and passionate place that I can find as an artist. If you have free 50 minutes I recommend you to check the album out, with headphones and a glass of wine. This album was done with tons of love and listening to the people and to the moment and I hope that you will enjoy the trip. On the 12th of November we are going to take the concept of playing the moment on stage. If you want to be part of the music we would love you to join us at BAC (Battersea Arts Centre) who gave us the stage to try our unconventional idea. We are very grateful for that. It might be amazing or a complete disaster. Either way – we are willing to take the risk as long as it comes from the heart. 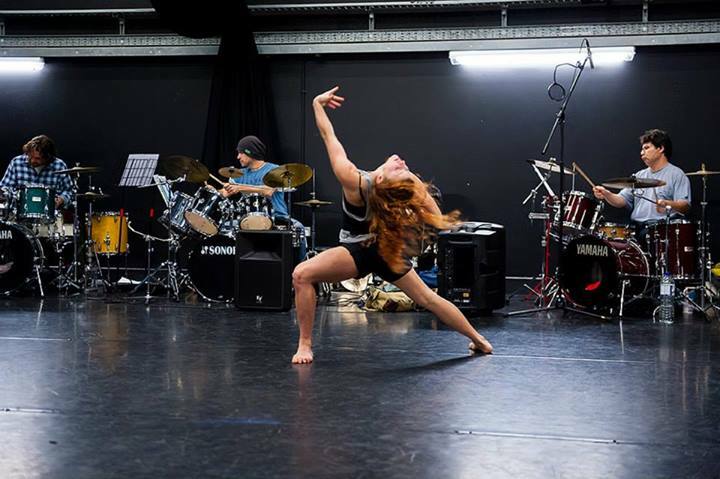 Threshold – The dance piece of the choreographer Joss Arnott with the crazy score of Mr James Keane is going to be on stage in the Arts Depot London next week. 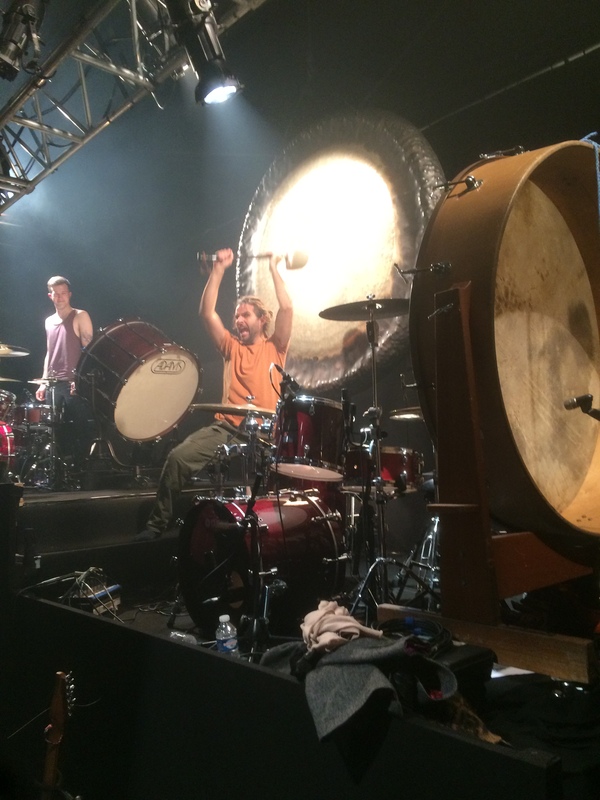 Is the idea of 3 drummers on stage good or bad?? It was very nice to see everyone again. Things sounded good in the last session before we move into the theatre for another week of the Choreographer’s Cut of Political Mother. That’s it. Yesterday was the last show of Political Mother on tour. And what a fine way to end such a beautiful ride. A full house in the beautiful Theatro Municipal do Rio. Great show! Great audience! Great city! 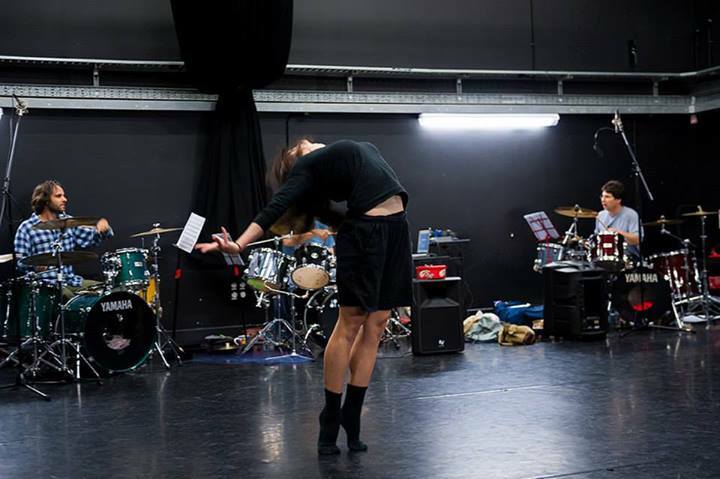 And yes – The Hofesh Shechter Company – a great company to work with! I have enjoyed a lot to circle the world a few times with a very nice and supportive bunch of people and now it is time to (kind of) say good-bye. Thanks everyone for being part of this. I love you all.